Madison – A Great City! Expecting a dirty, physical match like seasons past, the Wisconsin Women dropped a 17-5 heartbreaker to the visiting Detroit Women September 11. Detroit (aka The Cobras) surprised Wisconsin with a clean match, fair and well-played by both sides. Despite several charges near the try line, Wisconsin failed to capitalize on their speed and athleticism. 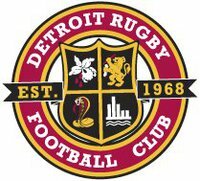 Detroit’s quick rucking controlled possession of the ball and created three tries for the visiting team with one successful points-after kick. Wisconsin’s lone try was scored by wing Katie Meyer (Dubuque, IA). Down in Chicago, the Midwest’s other Division I teams battled each other in a city rivalry. The Chicago Women were down 13-0 to Chicago North Shore, but surprised their rivals with a rally back to win 16-13. After one game a piece for all D-1 teams, Chicago now sits at the top of the Midwest standings. Full conference results can be found here. 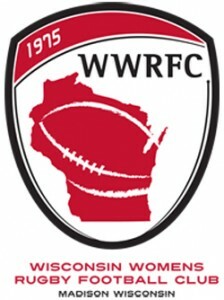 Next up for Wisconsin, they welcome Chicago North Shore to Madison on Saturday, Sept. 18 at the Crossroads Rugby Pitch. Kickoff is at 11 a.m. The women’s match will be followed by a 12:30 match between the Madison Minotaurs and the Wisconsin Rugby Club Old Boys, then a 2 p.m. kickoff between the Wisconsin Rugby Club men and the visiting Eastside Banshees hailing from Minnesota. A social of all teams will be held at the field. Visit our JOIN page to learn more and contact our recruiting officer Rachel today. New to rugby? All levels of experience welcome. Wisconsin Women’s Rugby Leadership Endowment: Donations welcome to build a brighter future for women’s rugby in our region!